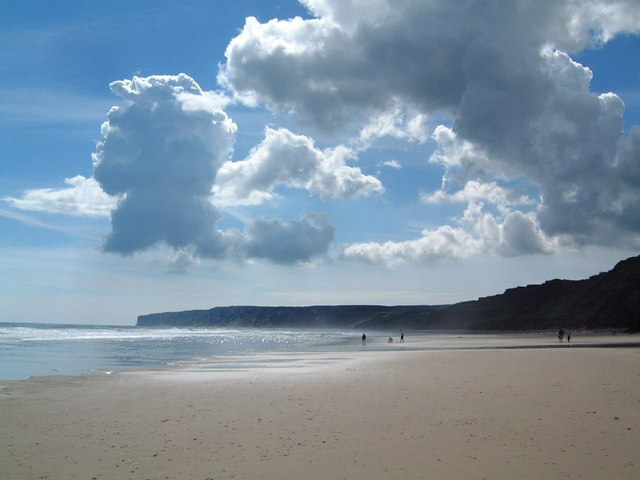 When we moved to Hunmanby the stretch of coastline between Scarborough and Bridlington was relatively unknown to me. Although we are Yorkshire people, most of our family holidays had been spent north of Scarborough in places like Runswick Bay, Sandsend and Robin Hood’s Bay. One of my greatest pleasures and surprises has been discovering our local coastline. The little bays around the Flamborough headland such as Dane’s Dyke, North Landing, South Landing and Thornwick Bay are wild and lovely places, relatively deserted and abundant in wildlife. Cayton Bay is a really cool beach with its own surf school for reasons which soon become apparent. 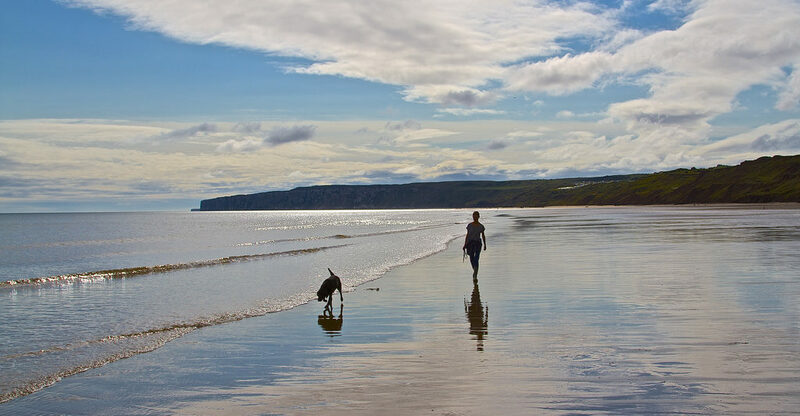 However, it is the 5 miles of sands at Filey Bay that really are a jewel and winner of a coveted Seaside Award for beaches that meet the very highest standards. Work your way south from the Brigg (an eerie rocky outcrop where the sea can be tempestuous on one side and completely calm on the other), past quaint Filey, a tiny seaside town unchanged from childhood memory, right down to Speeton Sands and the distant views of Bempton Cliffs. We access the beach at Hunmanby Gap – just a field to park in, a sprinkling of houses and a little Portakabin that serves as the beach café selling old fashioned frothy coffee, Bovril and Horlicks on the deck. The sands shift with every tide and there is always something interesting to see such as the ghostly hulks of mussel covered WW2 shipwrecks, the (now) uber chic art deco holiday home of Billy Butlin or a paraglider through the sky. There are no rules on this beach because there is enough room for everyone and hardly any people except in summer when the areas around Primrose Valley and Reighton Gap throng with caravanners. Dogs are welcome, there is loads of room for games and barbecues, the swimming is safe and clean and on a windy day there will be kite surfers. There are usually a few people messing about in boats or racing in the shallow Bay (flat bottomed of course) and always dozens of fishermen on the Brigg, the sea wall or just fishing off the beach. Every season has its pleasures but a warm, still summer’s evening at low tide will take your breath away.